eyewear and personalized eye care. Sorry for any inconvenience but we will be closed all day Friday and all day Saturday for staff training. If there is an emergency please go to the Emergency Room or Call 911. Thank you. 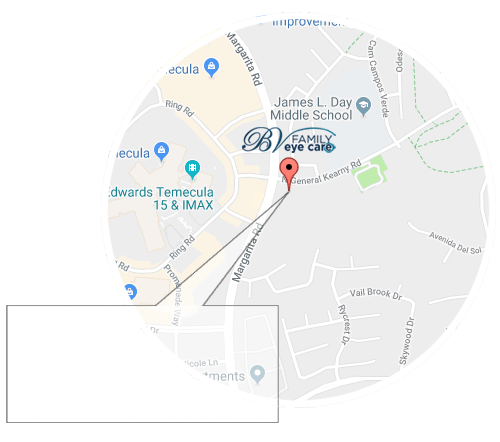 At BV Family Eye Care our goal is to provide you with the best and most comprehensive vision and eye care. We understand that perfect vision does not simply mean clear vision but clear and comfortable vision. Our staff recognizes that perfect vision does not indicate healthy eyes, and for that reason we recommend and include a dilated eye exam for all our patients for the early detection of ocular and systemic diseases. Our optical boutique strives to provide you with premium and fashionable designer eyewear, including frames, sunglasses and contact lenses, which allow you to see both clearly and comfortably. We are delighted to offer the best prescription lenses with the latest technology as well as best brands of contact lenses and glasses. "Improving you and your family’s quality of life is our vision. Providing you with the finest in eye care and eyewear is our passion."